We’ve warned our readers numerous times about not accepting lowball offers from insurance companies after being injured because of someone else’s negligence. In this issue, we have a perfect example of a victim who – wisely – rejected a $18,000 payoff from an insurance company, and went on to win an $1.8 million judgment against them. The victim was a front seat passenger in a car stopped at a traffic signal when another driver slammed into the vehicle from behind. The victim sustained a neck injury that led to chronic pain and spinal fusion surgery. Also a graduate of the Culinary Institute, the victim was forced to abandon her goal of becoming a chef. Shortly before the case went to trial, the insurance company of the driver who caused the wreck, offered the victim a one-time $18,000 payout. Her attorneys wisely rejected the offer. At the end of the trial, which included testimony from a radiologist and an orthopedic spine surgeon, the 8-member jury needed only 90 minutes to reach their decision to award the victim $1.8 million. 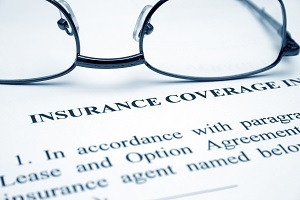 First and foremost, it’s important to realize that insurance is a business, and it’s the business of making money. The insurance adjusters you deal with are trained negotiators whose main job is to protect the interests of the company – not you. Your best bet is to leverage the expertise of a skilled lawyer who knows how to handle insurance companies and can make sure you receive full and fair compensation for your injuries. If you are injured by someone else, don’t deal with insurance companies on your own. Instead, get in touch with us here at Barber & Associates.